Thomas E. Brandon is the Deputy Director, Head of the Bureau of Alcohol, Tobacco, Firearms and Explosives (ATF). As the Head of ATF, Mr. Brandon is in charge of the Bureau and responsible for the unique law enforcement agency within the U.S. Department of Justice charged with enforcing firearms and explosives laws and regulations that protect communities from violent criminals and criminal organizations. Mr. Brandon continues to lead ATF after having served as both Deputy Director and Acting Director since April 1, 2015. Mr. Brandon has been part of the senior leadership team since October 2011, when he was selected as Deputy to the Director, while serving as the Special Agent in Charge of the Phoenix Field Division, directing field operations for ATF in Arizona and New Mexico. A member of the Senior Executive Service and a seasoned law enforcement professional, Mr. Brandon began his ATF career as a Special Agent in 1989, with Detroit as his first office assignment. Rising through the ranks at ATF, he served in many management positions including Special Agent in Charge of the Phoenix Field Division and Special Agent in Charge of the Detroit Field Division; Supervisory Special Agent of the Detroit Arson and Explosives Enforcement Group; Special Agent with the Office of Inspection in Washington, DC; Supervisory Special Agent of the Achilles Enforcement Group in Los Angeles, California; and as the Division Intelligence Officer with the Phoenix, Arizona, Field Division. Mr. Brandon also held the position of Chief, ATF National Academy, in Glynco, Georgia. 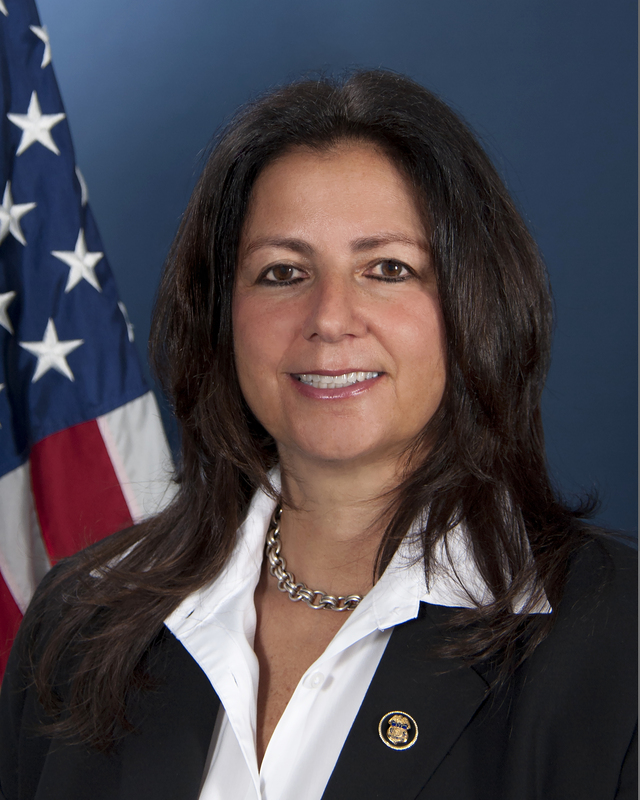 Regina Lombardo was appointed the 2nd highest ranking official of the Bureau of Alcohol, Tobacco, Firearms and Explosives in March 2018. As the Associate Deputy Director and Chief Operating Officer, Ms. Lombardo is responsible for the day-to-day operations of an agency charged with enforcing laws and regulations related to firearms, explosives, arson, and alcohol and tobacco trafficking. At the time of her appointment, she was serving as the Assistant Director for ATF’s Office of Human Resources and Professional Development where she was responsible for the strategic management of the Bureau’s workforce through recruitment, selection, development, and evaluation programs. A member of the Senior Executive Service and a seasoned law enforcement professional, Ms. Lombardo began her law enforcement career in 1992, as a special agent in the ATF Miami Field Division. Rising through the ranks at ATF, she served in many management positions including Deputy Assistant Director of Field Operations’ Central Region; Special Agent in Charge of the Tampa Field Division: Assistant Special Agent in Charge of the New York Field Division; Chief, ATF’s Leadership Institute; Group Supervisor for the High Intensity Drug Trafficking Area Task Force in Miami, Florida; and as Assistant ATF Country Attaché in Toronto, Canada. Ms. Lombardo holds a bachelor’s degree from the University of South Florida and is a member of several organizations which include: Women in Federal Law Enforcement, the National Association of Women Law Enforcement Executives, the Florida Sheriffs Association, the International Associations of Chiefs of Police, and Major City Chiefs.